The Easter Iowa Hindu Temple Association was established and incorporated as non-profit corporation under the Iowa non-profit corporation Act, Chapter 504A, 1999. Weekend :9:30AM-1PM & 5:30PM-8PM. 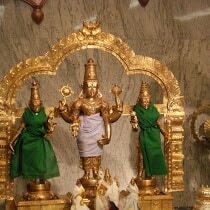 Saturday Suprabatham : 9:30AM. An important aspect of Hinduism is to educate our Youth about our culture and religion. 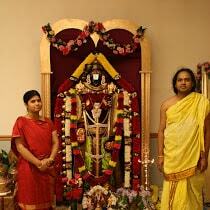 The Hindu temple of Eastern Iowa achieves this through our unique program, Vidyalaya. The focus of this program is to help our youth understand our rich Hindu culture, our scriptures, rituals and Dharma. This program aids an individual to become a better person and advance in their spiritual Saadana. Parents are welcome to join along and benefit from this program. 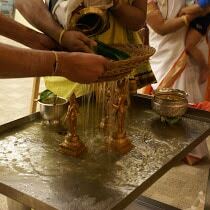 classes are held weekly on sundays from 10am-11.30am at the hindu temple. 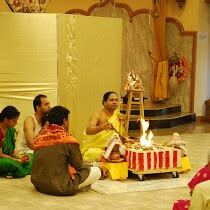 Three levels in Hindu Temple Association Of Eastern Iowa programs and curriculum is designed appropriate to the group. Festivals of India, Hindu Culture, Hanuman Chalisa and Vishnu Sahasranama, Origins of Hinduism, Vedanta. Time: Temple HoursWeekday : 10:00AM-12:30PM & 5:30PM-8PM. Thursday, closed unless specified in Calendar. Weekend : : 9:30AM-1PM & 5:30PM-8PM. Saturday Suprabatham : 9:30AM.